Located in the heart of historic Waterford, overlooking the waterfront, is a rather special hotel. Three generations of the Darrer family have welcomed guests to the city and their special brand of hospitality. The hotel in Waterford city centre was purchased by Rita Nolan in 1947 and was passed onto her daughter June Darrer. 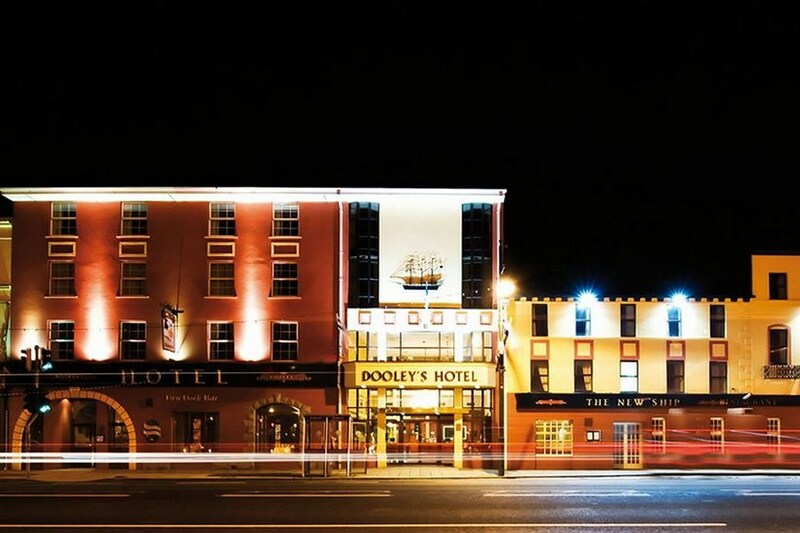 Dooley's Hotel is located on the Quay in Waterford City, County Waterford. Public parking is possible nearby at a charge. 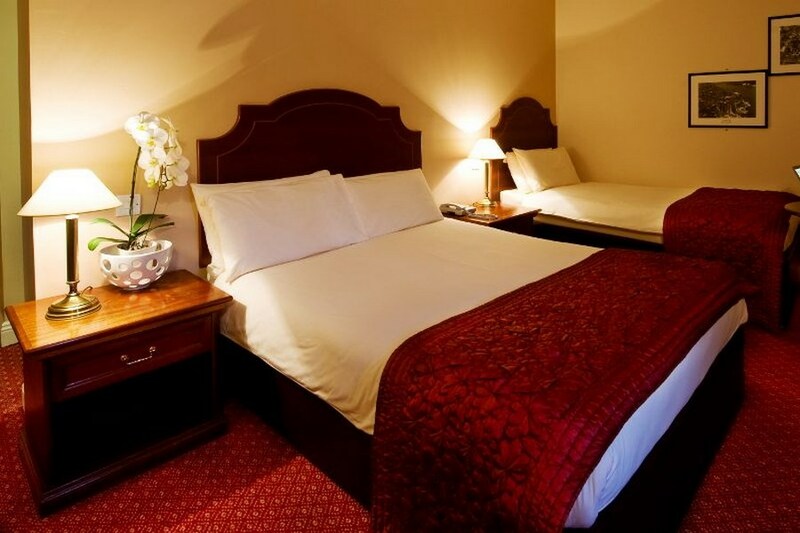 The hotel is centrally located and in a great position to enjoy the best of what the South East of Ireland has to offer in terms of sandy beaches, championship golf courses and the gateway to West Waterford's stunning mountain region. Walking tours of the city of Waterford are available and these informative tours are a great way of finding out about this historic city. The city has a number of indoor and outdoor shopping centres and all of the citys major shops are located in the heart of the city, within easy walking distance of the hotel. Delighted with our choice, staff very friendly , rooms fantastic we got such great value. Hotel central to everything. Very happy with all would return without hesitation. had a lovely stay at dooley's hotel last week-end. beautiful big room. dinner in restaurant was the best meal we had for ages. excellent breakfast. friendly staff. thoroughly enjoyed the stay. would recommend to others. spent two nights in February at the hotel the room was lovely and warm and spacious staff were friendly breakfast was very good we hah a meal there on our first night there was a lack of atmosphere in the restaurant the meal was just OK.
180 km drive down to hotel, when we arrived at 5 pm, we discovered that they did not have a room for us, we had a small child with us, we were tired after our journey. They eventually sent us to Treacys hotel up the street, the receptionist at Dooley's wasn't too bothered. 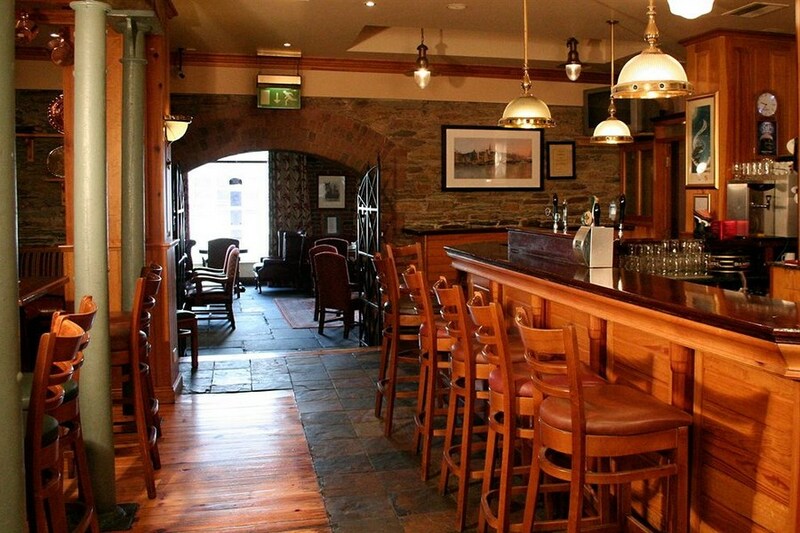 We had booked Dooley`s because we thought it would be a better class hotel- Treacy`s would not be in the same class. In short - a total disaster. We should be refunded in full. Lovely warm inviting hotel, the staff are very friendly and helpful which gives that extra touch that you get from a family run hotel that you can't get elsewhere. The food was absolutely delicious and buffet breakfast had everything and more. Lovely Hotel in a very central location. Our room was spacious and spotlessly clean. Very nice food served in the bar and for breakfast. Lovely music in the bar the Sunday night of the bank holiday week-end. Parking across the road at a reduced rate of €3 per day! Would highly recommend this hotel and would love to return again soon. Very satisfied with our stay in Dooleys. Very clean and comfortable ,centrally located and very helpful staff.. Excellent breakfast. Eugene, Dublin. My husband and myself stayed here for Saturday and Sunday night of the October bank holiday, the room was excellent and very clean but the heat was not turned on until very late in the evening and only for a short period so we were cold most of the time we were in the room. We did enjoy the breakfast and the staff were so efficent and friendly also the welcome at reception was second to none. We bought dinner there on the Saturday night and it was most disappointing to say the least, the potatoes were reheated and were tastless and inedible. We would stay there again but steer clear of dinner. Very pleasant stay at Dooleys. Comfortable hotel with good food. Good sized family room, nicely decorated and furnished. Pity it doesn't have BBC or ITV tv channels. Recommended as a good 3 star hotel, in a good location. We would definitely give Dooleys Hotel 5 star rating as everything was just perfect. The staff were lovely. Great food. Room was spacious and there was entertainment in the bar on the night we stayed. We will definitely go back there. Perfect location, staff very welcoming and no issues with parking. Enjoyed our stay and will be returning! This time with friends in tow. We had a lovely relaxing weekend in Dooleys Hotel last weekend. Staff were very pleasant and helpful.Location was great for shopping and dining.Rooms very spacious and beds comfy.Food delicious.Great breakfast.We will be back.